The following article appeared in the September 1981 issue of the British Marxist review the next step. 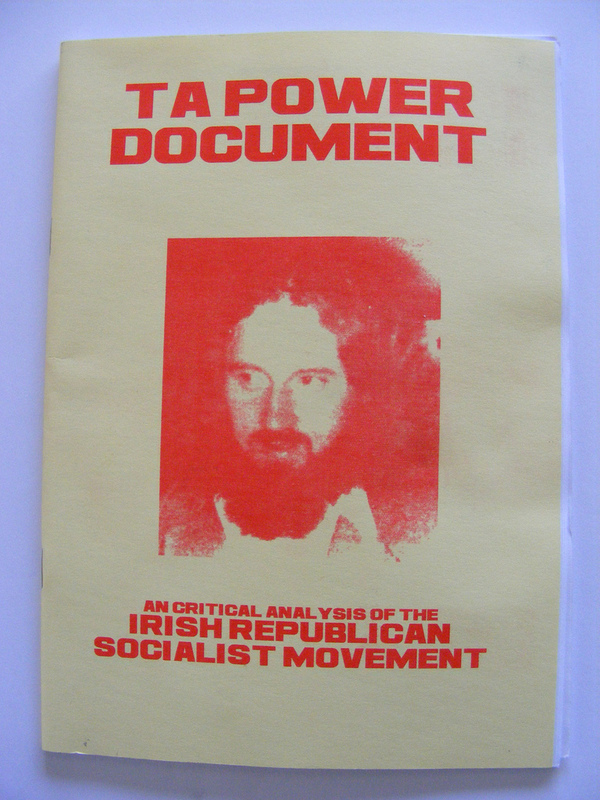 This was one of the few British left publications which understood the importance of the national question in Ireland and the struggle of Irish republicans with the British imperialist state. Most of the British left preferred to ‘play it safe’ and failed miserably to meet their obligations to support the Irish anti-imperialist movement against the British occupation and the British state. Nowhere was last month’s ‘royal’ wedding more enthusiastically celebrated than in Belfast’s Shankill Road and in all the other working class Protestant areas in the six counties. The loyalist workers are a peculiar phenomenon: Irish workers whose basic allegiance is to the British crown. 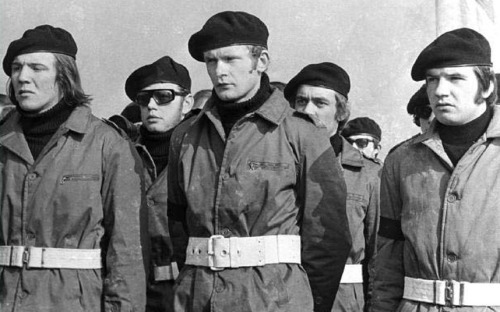 During 12 years of war the Protestant workers have formed a solid bloc with their employers and the British state: a million strong, highly armed and organised, an implacable barrier to Irish unity and independence. l for an immediate end to this insidious practice. When SF entered talks with the SDLP intent on consolidating a mass nationalist support base and harnessing the public sympathy generated during the 1981 hunger-strikes towards Sinn Fein’s project for Irish unity it was to prove a colossal miscalculation. Rather than lure constitutional nationalism to the assistance of republicanism, Sinn Fein would be lured into a process leading them to constitutional politics, non-violence and the acceptance of partition – although arguably exactly where the leadership wanted to go. Malachi O’Doherty has correctly suggested that the central aim of the armed struggle was to create conditions which would render an internal Northern Ireland settlement impossible thus forcing a progression towards Irish unification as the only option for policy makers. He sums up the IRA strategy as “a strategy of vetoing an internal settlement through the narrowing of options”. 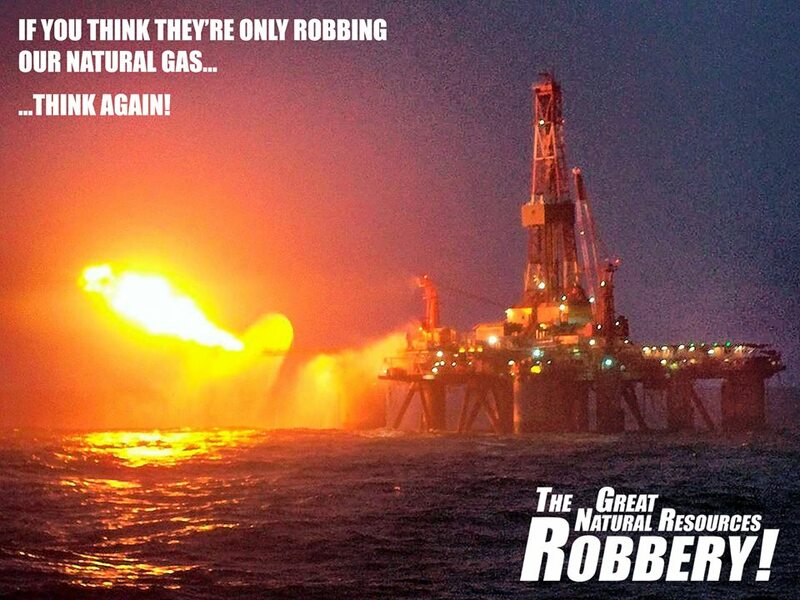 The next ‘Great Natural Resources Robbery!’ public talk will take place at 8pm in the Mill Theatre, Dundrum, Dublin 16 on Wednesday, Oct 28th. Through a detailed breakdown of the multi-billion euro industries that are based on Irish minerals, building materials, natural gas, fisheries, farming, forestry, renewable energies and other resources this presentation will expose the myth of Ireland being a country with very limited natural resources. Below are the 20 most viewed pieces on the blog, excluding the home page/archives and ‘about’. The top 12 have all had over 1,000 views: the most-viewed (ie Women’s rights and the national struggle, 1916-1922) has now had almost 5,000 views, while the Pearse biography has just gone over 1,000 views. The following is the opening section of a recently-completed masters degree in Ireland which looks at how the term ‘dissident republicans’ has been constructed to serve ideological ends. In particular, the term frames those placed in the category to be simply ‘unreasonable’ and ‘violent’ people opposed to the ‘Northern Ireland ‘peace process’ being developed by supposedly ‘moderate’ and ‘reasonable’ people. 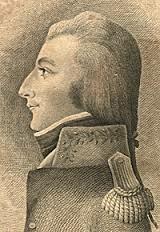 It suggests that the Provisionals, who have abandoned all their old republican principles, actually remain republican and those who disagree with their new course are ‘dissident republicans’ rather than simply people who continue to adhere to republican principles. Below is the introduction and pt 1. Over the coming few days, I’ll be sticking up pts 2, 3 and 4. This work offers what is considered to be a much needed alternative assessment of how traditional Irish republicans have come to occupy the position of political isolation and unpopularity as perceived dissidents. 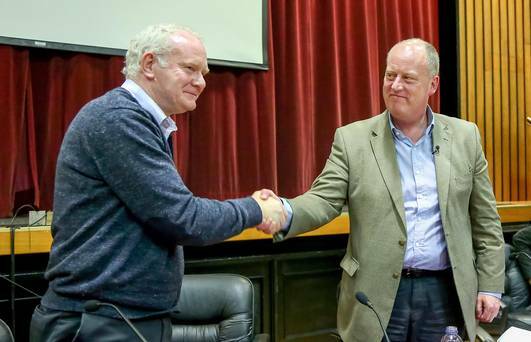 It argues that it is in fact Sinn Fein under the leadership of Gerry Adams and Martin McGuinness who over a very long period of time deliberately steered the Provisional republican movement onto an irreversible path from insurrection to constitutionalism and the acceptance of partition. It was the Sinn Fein leadership and not traditional republicans who deviated from republican ideology and values and they who slaughtered every republican sacred cow whilst doing so. This work does not dwell upon the political realities of 2013 nor the merits or otherwise of Sinn Fein tactical and pragmatic politics. Nor does it dwell on the fact that traditional republicans seem determined to live their political lives in the realities of a century ago. What this work sets out to show is that within the much vaunted ‘republican family’ it was Sinn Fein under the leadership of Adams and McGuinness which diverted from republican political dogma and values and not those who today are dismissed out of hand with the mere word, dissident. It has been felt necessary to give a brief reminder of the historical background to Irish republicanism as we know it in Ireland today. The present generation has grown up with the ‘peace process’ as the last generation grew up with ‘the troubles’ and violence. 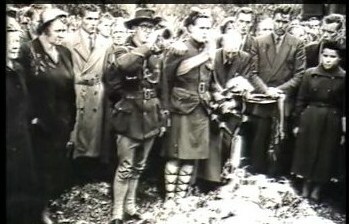 It has therefore been felt necessary to devote chapter one to the historical background of Irish republicanism and how republicans claim to be the defenders of the 1918 electoral mandate and of the first Dail of 1919 and the subsequent relevance and importance of abstentionism within the republican movement. Whilst this has left chapter one largely historical in nature, it has been felt necessary due to the somewhat Orwellian nature of Northern Ireland politics and media control since the beginning of the peace process and the signing of Good Friday Agreement. It seems there is a deliberate political and media policy of disinterest and blanket exclusion against anything which hasn’t been peace process sycophantism. This has rendered political analysis and debate endangered species. The subsequent chapters show how the Sinn Fein leadership managed to steer the movement onto a post 1981 hunger-strikes path towards constitutionalism in the guise of a pan nationalist front and examine how they avoided internal splits or feuds whilst doing so. It will be seen that rather than recruiting nationalists to the republican cause the Sinn Fein leadership was willingly pulled into the political establishments on both sides of the border, accepting partition and IRA disarmament. It will also be shown that this position was the desired destination from both the Sinn Fein leadership and the British government. Sinn Fein have ultimately, it will be seen, with a compliant and unquestioning media assistance, claimed credit for a political agreement they had almost zero part in formulating and have championed the ‘peace-process’ as the only political game in town in the absence of any coherent political strategy of its own. Supplementary Edition (No. 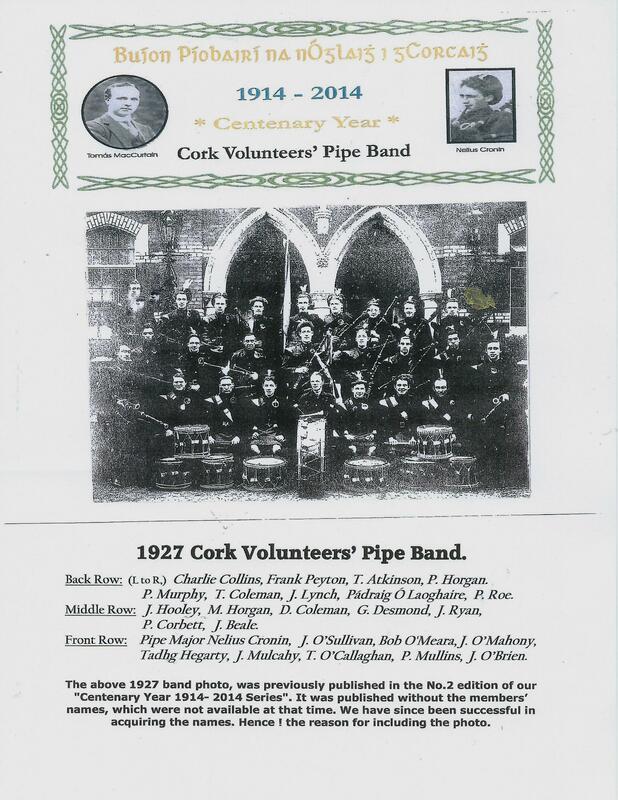 5) of the Cork Volunteer’s Pipe Band Centenary Year Project 1914-2014. In the number four edition of the Cork Volunteer’s Pipe Band on December 2014, Jim Lane promised viewers that” if anything further comes to hand of importance, he will request the relevant websites to make available space put it up online”. With this Supplementary Edition, published in October 2015, we fulfill that comment. This is a series of five articles on the centenary year 1914-2014 of the Cork Volunteer’s Pipe Band that was founded by Tomas MacCurtain . With the help of some old band members, we tried our best to bring together what information and photos we could fined. 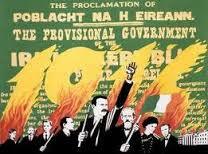 The 1916 rebellion had NO support from the majority of the Irish people. A further comment down the page suggested consulting JJ Lee’s Ireland 1912-1985: Politics and Society. I’m still a fan of Lee and that book in particular – despite a few oddities in the text and analysis. I think it offers a very clear-headed view of Irish history during that period laced with a necessary irony and scepticism about all those involved. 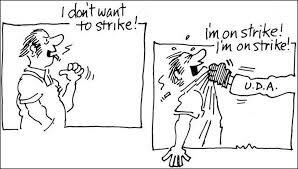 it’s certainly a world away either from revisionism or adherence to previous nostrums. Many among us, influenced by the rut contemporary republicanism finds itself in, well over a decade from the 1998 Agreement, have reached the conclusion republicanism has been relegated to the fringes of society. But this is not necessarily so. 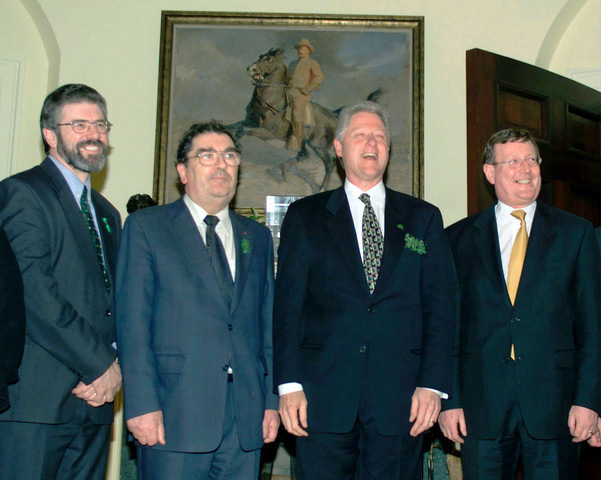 It is more arguable that many Irish republicans simply do not understand the changed dynamics in society today, and thus fail to process how republicanism is in fact growing in Ireland – just not according to the model traditionally understood by ourselves. It is then ourselves as republicans who need realise much of our analysis is on the fringes of society and not Irish republicanism of itself. Can we accept this and work to right the wrong or will we persist with failed tactics and strategies of old? Only time will tell but internal debate and discussion, among both ourselves in the 1916 Societies and other emerging strands of what can be termed ‘alternative republicanism’, offers a way forward. Debate of itself can open channels whereby an appropriate analysis, for the times that are in it, can emerge on the strength of those discussions. A vibrant republican analysis, in line with the needs of modern Irish society and conscious of our own limitations, is in the interests of all concerned.